Thangbi Mani festival is one of the most popular festivals held in Chhoekhor Gewog in Bumthang. The highlight of the festival is the fire blessing (Mewang) ceremony, performed in an open ground. The lay monks perform purification rituals while people jump over flames to purify themselves. Several mask dances are also performed. It is believed that the festival would bring peace and prosperity and ensure better harvest for the entire community. Thangbi Mani is a unique festival which displays the rich tradition and celebrates the cultural heritage of this ancient monastery Thangbi Lhakang, founded in 1470 by the Shamar Rinpoche, Chokki Drakpa. The iron curtain at the entrance is said to have been cast by the saint himself. Thangbi Lhakhang is located beyond the Kurje Lhakhang. 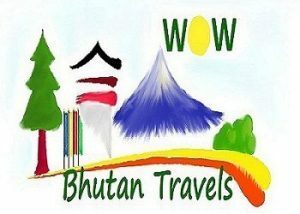 The ‘Thangbi Mani’ festival tour travels to Bhutan’s spiritual heartland to experience the rich pageantry and festive atmosphere of this unique festival.This Bhutan tour also explores the cultural western and historical central valleys of Bhutan. On your arrival at Paro international Airport, you will be received by your tour guide. After checking into your hotel you have time to relax and have lunch before beginning your discovery of Bhutan. You will visit Ta Dzong. It is a Museum located on the hill behind the Paro Dzong. Open from 9 am to 4pm every day except Mondays and some national holidays, a visit takes a good hour. Housed in a 17th century watch tower, it has a unique character and beautiful panoramic views over Paro Valley. Later in the afternoon you to will travel to visit the ruined Drukgyel Dzong (fortress of victory), constructed to commemorate the victory over Tibetan invaders in 1644 and destroyed by a butter lamp fire in 1951. The reconstruction of Drukgyel Dzong has begun. On return you will also visit the 7th century Kyichu Lhakhang, one of the oldest temples in Bhutan. Drive from Punakha to Bumthang via Trongsa (8 hrs) over the Pele La pass (3,420m) on the Black Mountain range. Enroute visit beautiful Chendebji Chorten, erected in the 18th century. The imposing Trongsa Dzong can be viewed across a deep canyon to signal your approach to the town around a curving road. Trongsa is the ancestral home of Bhutan’s ruling dynasty. After lunch, visit Trongsa Dzong, the largest Dzong in Bhutan. The view from the Dzong is spectacular and one can see across the landscape for many miles. Also visit the Ta Dzong museum housing an incredible collection of historical artifacts of the Royal Family. After break you will proceed for your journey to PhoJikha. We will travel back through the same route crossing the two passes Yountong La and Pelela. Stop at Trongsa for lunch. Before reaching Wangdi, you will drive to a road that diverges towards Phobjikha. You will drop in at hotel and get fresh. Then you will visit to Gangtey Goenpa, which is the only Nyingmapa monastery in western Bhutan. You will also see wide valley of phobikha which is the winter residence of hundreds of Black Necked Crane. Overnight hotel in Phobjikha. Thimphu is today the nation’s bustling capital. Enjoy a full day of sightseeing, including a visit to stunning Buddha Dordenma Statue, made of bronze and gilded in gold, and the National Memorial Chorten depicting the Buddhist faith in the form of paintings and statues. This temple was first initiated by the Third King as a protection from the negative elements of modernisation, and as a monument to world peace. The Royal Queen Mother completed it as a memorial stupa for the Third King who passed away in 1972. Continue on to 12th century Changangkha Temple and The National Library housing the collection of Bhutanese scriptures dating back to the 8th century. In the late afternoon, depart for Paro. Overnight at your hotel in Paro.